Links-news.com and Did-news.com Review: Two More Blantant News Reading Scams! YOU WILL NOT GET PAID! Just when I thought we have finally have seen the end of these news reading scams, here are two more news reading scams for you guys: Links-news.com and Did-news.com. 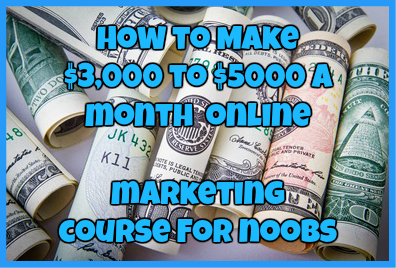 I was originally warned about these two scams on my YouTube channel as well as here on MakeRealMoneyOnlineFree.com. If you have come across these sites it is most likely because you have seen a job posting on Indeed.com, Craigslist.org or Backpage.com with a posting that looks similar to this. So, how do I know that Links-new.com and Did-news.com is a scam? Let’s jump right into my honest Links-news.com and Did-news.com review to find out the truth about these opportunities! 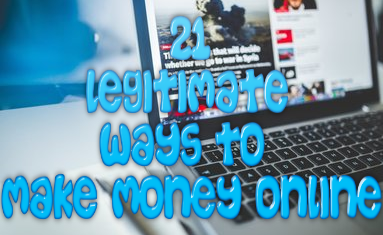 Both Did-news.com and Links-news.com are online websites that are free to sign up for and boasts that it can give you the opportunity to make thousands of dollars online just by reading the news. The website claims that you can make anywhere between $5 to $7 for every piece of news that you read and you can earn up to $150 per person that you refer to the programs as well. YOU WILL NEVER RECEIVE PAYMENT FOR YOUR EFFORTS! How Do I Know These Websites Are Scams? If you are new to this site, the one thing that you will begin to notice that many of the websites and programs that I review tend to be all of these news sites. Many of these news sites that I have reviewed are known scam websites that have yet to pay any of their affiliates and both Links-news.com and Did-news.com share a resemblance: they look IDENTICAL to these sites. Just take a look at the canny differences between Did-news and Links-news and these other known scam sites. Make a judgement for yourself. What isn’t very surprising about these sites is the fact that all of them have yet to pay out to their affiliates. If you do the math the owner of these websites currently owes over $1 million to affiliates around the world. This is a ton of complaints from various affiliates round the globe and you can see for yourself how many of them have been waiting to get paid for several months now. Unlike actual news articles from reputable news websites, the articles on these sites contain news articles that aren’t actually articles. If you look closely at these articles you will notice that they are only a sentence or two in length. On top of that these news articles having 2 to 3 google ads listed above and below them. The fact of the matter is that you will not be able to make thousands of dollars a week just by reading a sentence or two in length. If it was that easy to make money online, everybody would be rich. Just like with all of the other news websites I have reviewed, both did-news.com and links-news.com are known phishing scams and are actually warned about on popular scam warning sites such as Scam Advisor and is even warned about by Paypal itself. The common trait that this owner follows with these sites is making them look identical to one another while constantly changing the domain names every couple of weeks to promote a “new” opportunity. Paypal warns users that if you give your Paypal email address to this website, you can risk having your account hacked into and even have your personal information stolen. To be on the safe side just stay away from this opportunity. I can say 100% sure that these websites are 100% scams! There are literally hundreds of these websites circulating around that are scamming thousands of people of their hard earned earnings. If you do not want to promote an opportunity that won’t end up paying you every dime that you are owed, then stay away from this opportunity at all costs. Have you fallen victim to both Links-news.com and Did-news.com? If so, I would love to hear from you! Just drop me a detailed comment below! ← Died-news.com: Here is Yet Another News Reading Scam For Ya! Can Affilorama Really Make You Money?